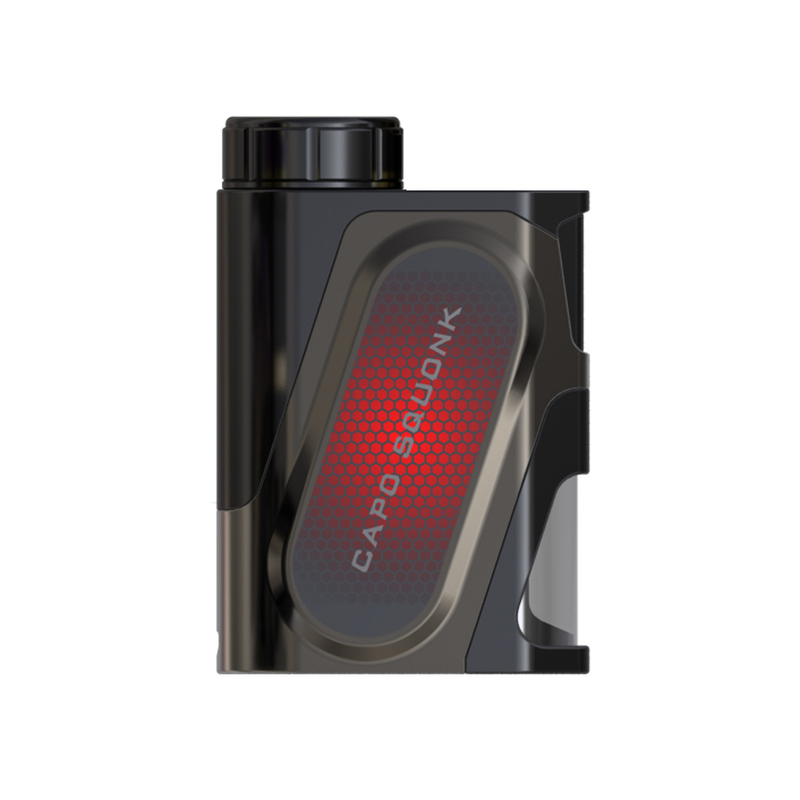 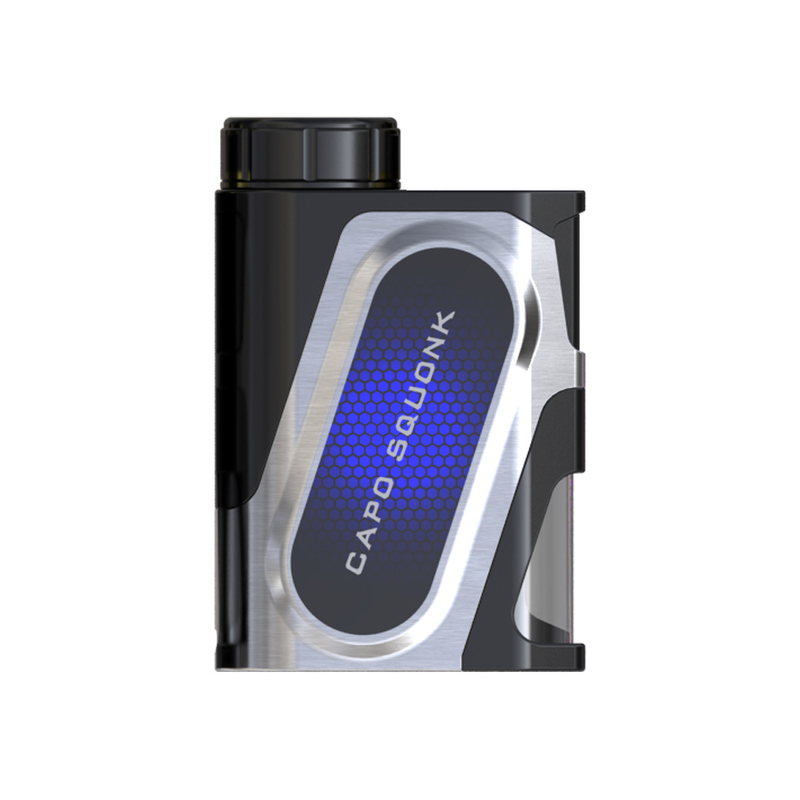 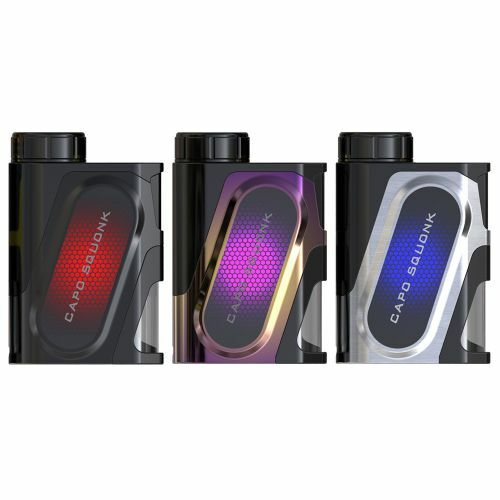 The CAPO Squonker MOD is powered by a single 20700 cell, which drives the CAPO Squonk up to 100W and dramatically shrinks its size. 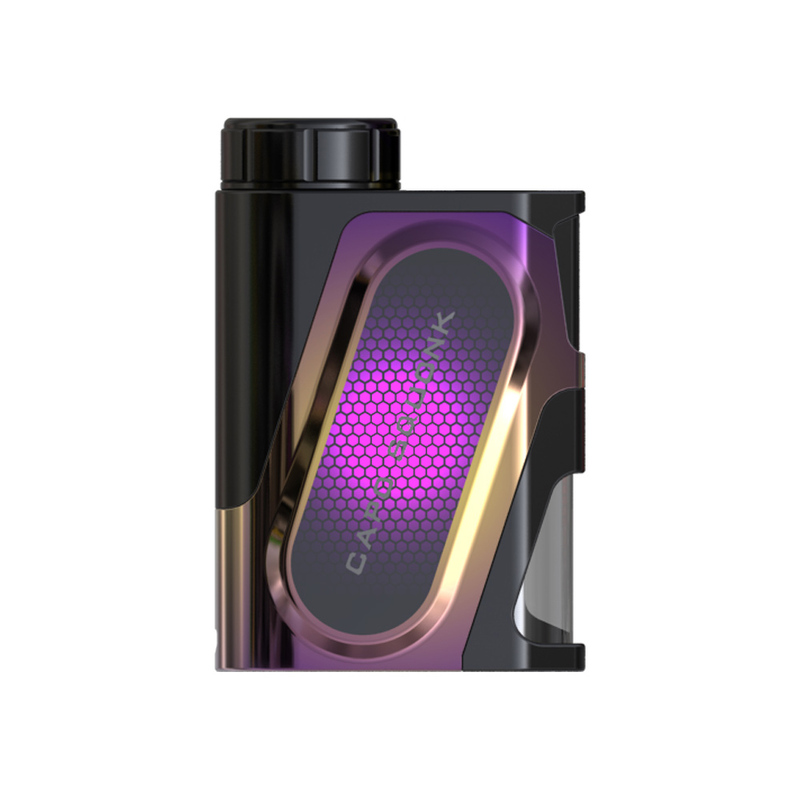 You can adjust the wattage by clicking the up and down buttons. 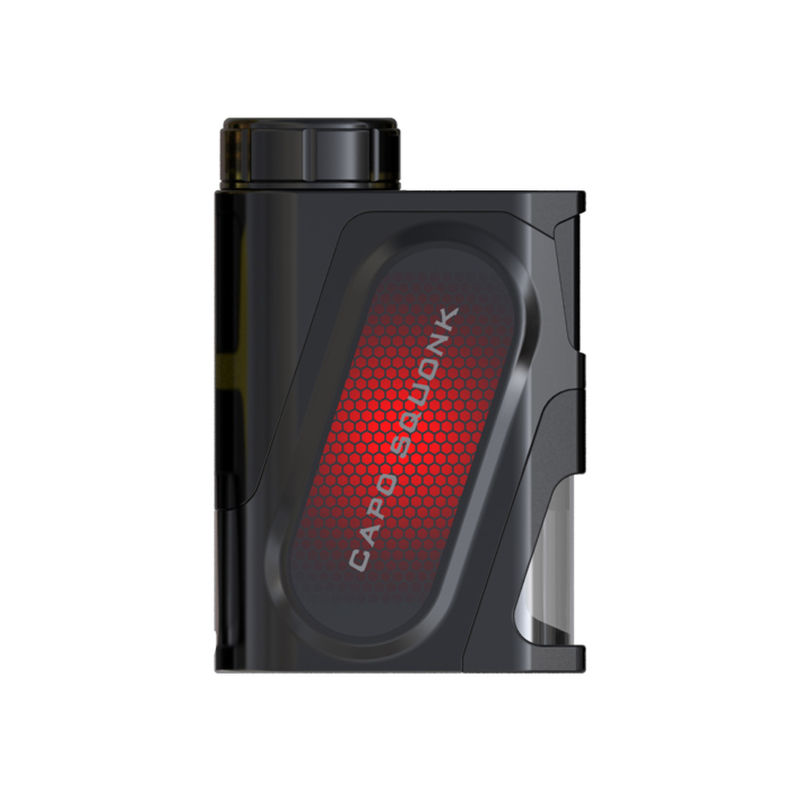 It also features top battery slot for easy replacement and massive fire key for better click.